As I looked at my SMS Giveaway picture, I thought I would post a closer shot of the Susan Branch fabric. I always like to look at the pretty prints. Recently I told my dear daughter that I remember receiving a fancy apron when I was married. I could not remember where it was, but I was sure I still had it. So today, I went through my old cedar chest and found these gems. My Mom had a little girl who was born about eight years before I came along. She died when she was about three years old. I think this little embroidered top may have been hers. I really have no way of knowing for sure, but just by trying to date the top, it seems like it would have been before my time. This however, was my christening dress! It was all hand made by a relative. I don't know who made it, or even where it was made. My parents were in their 40's when I was born, so a lot of their friends were older too. It is a beautiful silk with all the lace work intricately done. I really treasure still having this dress. These are my little booties. They are at least (uh-hum) 50 years old. Cute, huh? My Mom loved to crochet. She made so many beautiful things. Here are a few. I hope you are enjoying your weekend. Happy quilting, and don't forget to make someone smile! Have you ever played a guessing game? Do you remember the guy who would try to guess your weight or name at the fair or circus?? I have never been very good at guessing games. But recently I guessed the right answers to two questions. Elaine at Averett Lady Nana asked what her grandbaby meant by "spray Ice-cream"? I guessed the right answer. Elaine sent me a very nice gift for making the right guess. Three beautiful fruity fat quarters and a great Easy Circle Cut template! I can't wait to try it. These yummy suede looking hand dyed fat quarters. Aren't they the most luscious colors? I have never seen fabric this rich looking. Have you been checking out all of the great giveaway's at SewMamaSew's website? Be sure to go through each list and sign up! It has been amazing to visit so many new blogs. I have been so thrilled to have so many new visitors to my blog. I will try to visit every one that has left a comment. And I will also visit everyone that has signed up as a follower. It's been an exciting adventure. Remember there are two more days left. If you want to sign up for my giveaway, don't do it here. Go back to my last post to sign up. Please leave a comment on this post for your name to be put in the drawing. Because I love hearing from all of you, I am also going to include your name a second time if you become a follower and leave a second comment. That's it! It's simple. I am open to including one and all in this first giveaway. Please be sure to leave a way for me to contact you, either via your blog or email. If I cannot contact the winner, another name will be drawn. I hope that everyone has a grand time enjoying this Spring Giveaway! Once again I am joining Kim for her Teacup Tuesday. Wow what a wonderful variety of teacups have been shown. Please be sure to check out the other Teacups that are being offered today. One other thing that is great about Clara J's. There is a Quilt shop right across the street!!! Now what could be better then that? Living in the south offers many opportunities. The weather is nice year round, which makes for new adventures along the way. My dd plays in a string trio with two very lovely young ladies. This weekend they had the opportunity to play for a wedding. The fun part was that it was at the beach! The girls said the weather was perfect and the sunset was gorgeous. After the ceremony the girls had a fun romp along the shoreline. I love taking pictures. This love affair with a camera probably started when my parents gave me a camera eons ago. I remember having a camera where you just dropped a film cartridge into the back and that was it! All self contained. Anyway, it's a great way to document special times, and create memories. Last weekend, my dd and I drove two hours north to an antique fair. She found out about it online, and we thought we would make a day of it. We did not find many bargains, but I did take some fun pictures. I love these pretty vases. A lot of vendors did a great job of displaying their goods. Isn't this great? I don't know if you can see how they used birdhouses through out this little garden area. I would love to do something like this down our side yard. Back in January, I found the fabric I needed for a pattern in Fabric Trends magazine. Isn't this a great print? I think it looks very similar to the fabric that is featured in the magazine. The only fabric I could not find that day was the stripe. The plan was to make this quilt after my BFF visited from cold country. But my dear mother in love became very sick and there has been no time for sewing. I love my dear mil and we have watched her slowly recover and then once again make a downward spiral. She is under Hospice care, but her family has been by her side 24/7 for the last 3 months. There will be other days for sewing and quilting. Time with our loved ones is precious. and should always be granted much more than they would take." I've been doing a little hand quilting in the evenings. I recently bought a new leather thimble, but it feels too big. Does anyone know if there is a way to make it fit better? Every single morning when I get up, I have to decide what I am going to wear. Sometimes it is an easy decision, other times it is tough. There are days when I look in the mirror and sigh (hurmph). Do I look sharp or frumpy. But each and every day, the garden is dressed with no cares. The seeds were planted, and they know what they will produce. We water and fertilize and wait for the beautiful show. Some of the fruit are beautiful, and some are a little wonky. But they taste delicious just the same. "Therefore, I tell you, don't be anxious for your life: what you will eat, or what you will drink; nor yet for your body, what you will wear. Isn't life more than food, and the body more than clothing? See the birds of the sky, that they don't sow, neither do they reap, nor gather into barns. Your heavenly Father feeds them. Aren't you of much more value than they? "Which of you, by being anxious, can add one moment to his lifespan? Why are you anxious about clothing? Consider the lilies of the field, how they grow. They don't toil, neither do they spin, yet I tell you that even Solomon in all his glory was not dressed like one of these. But if God so clothes the grass of the field, which today exists, and tomorrow is thrown into the oven, won't he much more clothe you, you of little faith? "Therefore don't be anxious, saying, 'What will we eat? ', 'What will we drink?' or, 'With what will we be clothed?' For the Gentiles seek after all these things; for your heavenly Father knows that you need all these things. But seek first God's Kingdom, and his righteousness; and all these things will be given to you as well. Therefore don't be anxious for tomorrow, for tomorrow will be anxious for itself." I wanted to share about a very special teacup today. Isn't it lovely?? It is a Fine Bone China teacup, made in England with Shelley for the marking. It is the softest shade of green with little petite roses on the inside. This teacup is actually one of my newest in my collection. Would you like to know why this particular teacup is so very special to me?? Not only is it very fine delicate china, decorated with the prettiest little roses. This sweet little teacup was given to me by my dear sweet husband. He traveled to Louisiana last week on a business trip. He found a little antique shop and bought this beautiful teacup for me. He hand carried back on the plane (telling his co-worker that under no conditions was he to lose this teacup). I was so very surprised when he handed me a little bag when he returned home. As I was unwrapping the bubble wrap, I could tell this was a cup and saucer. He kept such a straight face as this little beauty was unveiled. Yep, I've told you before, he's a keeper! A very sweet lampshade night light and lovely rose notes. It was a beautiful compliment to the cup and saucer. a surprise visit from a friend. fills our hearts with thanks." There was also a lovely scented sachet to complete the prize. Thanks Marydon for the great giveaway! Our trip to Georgia took us to a quaint little town called Dublin. Yes Dublin in Georgia! I never heard of Dublin, but we soon made our way through this unique hometown USA. Wonderful clock in the middle of town. It was in front of what used to be the Carnagie Library, which is now the Dublin Museum. This monument was in honor of those who fought in the Civil War. It was quite impressive. The Dublin Museum sits behind the statute. A very sweet little church stood across the street. We were allowed to take pictures inside the museum. This was a grouping set up like a parlor room from the late 1800's-early 1900's. Antique crazy quilts were draped over the furniture. They were very impressive. Betty Page was the curator at the museum. She was very helpful in filling us in on the history of Dublin. We mentioned that there were some very beautiful homes in the area. She told us that as a child she lived in the big white house that was now a Bed and Breakfast. Wow, can you imagine growing up here?? I love visiting little towns around the country. I find it interesting that many of the small towns look very similar. Their little "town" areas are so quaint and reminiscent of a simpler time. We live in such a fast paced world now, we sometimes miss the roses along the way. 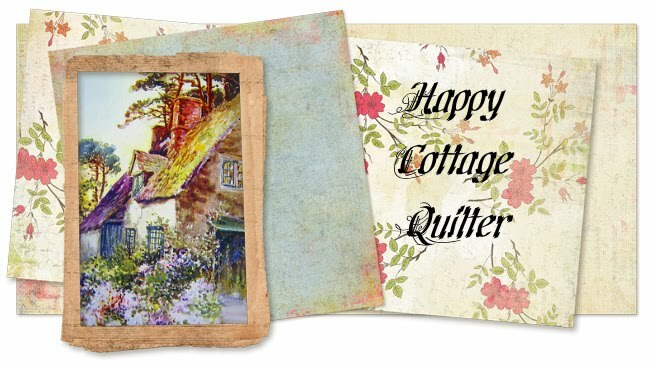 Have a very happy quilting day, and remember to share a smile!